Identify who your ideal markets are. Choose strategies that work for you to reach your target markets. Develop a “defining statement” that attracts clients and business. Leave with your plan for (a) how to achieve your revenue target, and (b) how to organize your daily and weekly activities. Determine how to set your fees so that you are actually making the money you want to make. Mark LeBlanc once said, “It is hard to make a difference if you are not making a living.” Let’s be really honest here, how are you doing? If you think you could be doing better, this could be the program for you. Through a highly participatory conversation you will figure out how much revenue you want to generate in your business, how to set your fees, who your target markets are, and how to attract them. Whether you are just starting your business, have been coaching for a few years, or you are a seasoned professional, this program will shine a light on your business and show you how to grow it. This will not be just theory; nor will it be platitudes and motivational sayings. This will be a hands on, rubber meets the road, practical action plan for how to do it. David will share how he has used material from five masters to grow his business and show you how you can do the same. This program could take years off your learning curve. 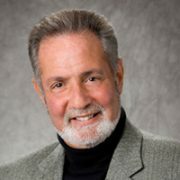 David Goldman has been a professional business and personal development coach for 25 years. He has been a paid speaker for 20 years. He has a chapter in a book called, “The Sales Coach” and a chapter in the coach’s e-book. However, David has never completed the book he has wanted to write for the last 20 years. You must pre-register for meeting with payment received by 5:00 PM on Thursday, April 25, 2019 to receive the $59 current ICF Pittsburgh Community Participant rate or $75 rate for all others. After April 25th, the on-site registration fee will be $75 for everyone. In celebration of International Coaches Week, please join ICF Pittsburgh for a walk and talk in Schenley Park. This informal and casually-paced walk will give us a chance to get outside and get to know outside of a meeting room. Before walking, we’ll meet at Cafe Phipps (part of Phipps Conservatory and Botanical Gardens) for a refreshment an opening discussion lead by Amy Camp of Cycle Forward. Anyone who can’t make it by 2:30 is welcome to join us for the walk only so long as you arrive at Phipps by 3 p.m. The Schenley Park walking route includes some hills and steps, but we will take it easy and move at a casual pace. Please dress comfortably and carry water. Metered street parking is available on Schenley Drive. Have you accepted how dramatically different the digital world is and its impact in your business? The role of leaders in the digital age is moving beyond simply managing for improved efficiency, increasing margins and elimination of risk. Leaders now require the ability to harness complexity through agile management, manage in less hierarchical ways, and demonstrate curiosity with a higher tolerance of experimentation. That is a huge behavior shift! In this session Brenda will share research around Digital Leadership and the mindset, skills and behaviors required to support this new model of work that is important for coaches to understand as they coach their clients. In addition, she will briefly share Thrive’s digital and customizable coaching tools. An overview of Digital Leadership and how that shift impacts coaches and their clients. A better understanding of how to use digital tools, as well as scale and modernize your coaching practice. Introduce concepts around cognitive technology and demonstrate the ways of supporting coaches with digital tools. Save time, mitigate bias, measure soft skills, nudge programs, and facilitate digital peer coaching groups. Brenda Vester has spent the past 25 years in the business of human capital management. She is motivated by the development of potential, growth, and self-awareness while achieving results. Currently, Brenda is a Partner with THRIVE, a local technology company. She oversees strategy for sales and client development. She also designs digital coaching programs focused on mindfulness, key behavior indicators, feedback and mentoring. As a speaker, she has developed and delivered topics such as, “The Rising Value of Women in Leadership” and “RESET; Your Career Starts in Your Mind.” Brenda has also taught Business Communications in the Katz School at the University of Pittsburgh and delivered the opening keynote on Generational Differences for the Duquesne University Entrepreneur’s Growth Conference. She has a BS in Business Administration, and Professional HR certification. 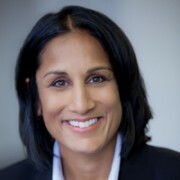 She served two years on the board for the Pittsburgh Human Resources Association and is certified in Strategic Leadership Directions and Leadership Effectiveness Analysis from the Management Research Group. Personally, Brenda has published two books. The latest, ‘RESET: Your Career Starts in Your Mind’ outlines 3 mindshifts for the 21st century career. ICF Pittsburgh members, affiliates and premier level can register for this virtual program at no cost. To register please click here. Non members must register for this event with payment received by Friday, May 10th to receive the rate of $25. Chapter 8 by Edmée Schalkx, who describes herself as a globetrotter, hands-on, passionate, committed and curious. Edmée Schalkx will participate in the session. Areas of consideration when coaching and managing from different perspectives. In this chapter the author, Edmée Schalkx, explores the impact of (un)seen experiences connected to the environment we relate to day in-day out. 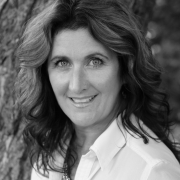 Based on her life, parent’s background, work experience, being a coach and the relationships she develops with her clients to make each session an impactful one, this discovery path goes beyond the relationship between client and coach. This chapter delves into how to create meeting spaces that are safe and trusting and where people is fully present, and how our experiences, values and beliefs play an important roles in the development of relationships or just passing contacts. Edmée Schalkx With no shadow of doubt when asked which words define Edmée best, she would say: globetrotter, hands-on, passionate, committed & curious. I am all about people, connections, learning, culture, my daughter Kendra, family, pets and gardening. Traveling is also a big love in my life as it keeps my mind open to opportunities and learning. My world has always been a truly international one! I was born in Venezuela and brought up speaking three languages (Spanish, Dutch and English, later I added Italian and French). My school and university mates were mainly also descendants of European and Asian emigrants, and my house was always a welcoming place for my parents’ friends who came from all walks of life, dressed by an active life in the diplomatic circles. My Dutch parents taught to me how to engage with diplomats, CEO’s of multinational corporations as well as with the less fortunate from my mother’s projects supporting poor women starting their own small enterprises. In this way I learned to move seamlessly among cultures and social classes. 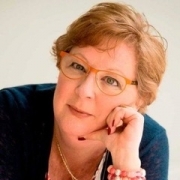 Edmée is the founder and for 4 years the president of the ICF Dutch chapter and for 3 years the Chair of the Commission Accreditation and Certification (CPAC) of the ICF. As coaches, we often work 1:1 with clients, but otherwise spend a lot of time alone, in our heads, noodling possibilities, challenges, or dreams, with no dedicated outlet to process, take action or have accountability. The Coaching Lab is a space for coaches to come together to share our ideas in a safe, non-judgmental forum. It’s a place to get feedback, input and support. It’s a built in focus group for whatever is on your mind. Submit your topics to Lauren Travis Lambrecht at leadwithverve@gmail.comat least 5 days prior to the event, or post your interest in the meeting invite on Facebook ICF Pittsburgh Coaches page. Goal: 3 topics per meeting, 15 minutes each (including sharing idea and receiving feedback); time will also be allocated for introductions and reflection. A participatory adventure for coaches, consultants and other professionals who must clearly communicate value in order to attract ideal clients. practice declaring it to an audience of their colleagues. Your core contribution (expressed, valued true calling) is found at the intersection of your ideal client’s deep need and your deep fulfillment. By championing and expressing your unique capacities, earned as a result of your deepest wounds, you place yourself in an ideal position to express value. Participants will leave with a deeper understanding of innate core value as seen in the eyes of others and possibly with a well-crafted message expressing that value. 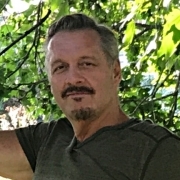 Tom Volkar is a 20-year business start-up coach who guides solo service practitioners who want to start and grow their ideal businesses. Tom specializes in comeback coaching for those who want to robustly rebound from devastating changes like divorce, bankruptcy, business failure and critical health challenges. You must pre-register for meeting with payment received by 5:00 PM on Thursday, June 6, 2019 to receive the $39 current ICF Pittsburgh Community Participant rate or $55 rate for all others. After June 6th, the on-site registration fee will be $55 for everyone. Are you an internal coach looking for strategies to expand your internal coaching program? Are you an HR/OD professional or Manager/Executive that already coaches internally and is looking to connect with other internal coaches? Do you believe your organization can benefit from an internal coaching program and not sure where to start? If you answered yes to any of these questions, please join us to learn and share from others’ experiences. We look forward to having you join us for great dialogue on building and accelerating internal coaching programs. Our group meetings are open to all interested in developing or expanding coaching within organizations.